The National Unity Government’s (NUG) main goal is for an Afghan-developed and led approach to continue to build increasingly effective, affordable and sustainable Afghan security forces. This roadmap – an initiative led by NUG leaders – sets out the way ahead for the reform and further professionalization of the ANDSF including addressing leadership challenges through merit-based promotions; countering corruption and increasing fighting capability. The Special Operations Corps continues to prove in combat that they are the most capable in the Afghan military by conducting the majority of the army’s offensive operations and being assigned to the most difficult missions, including arrest of the warlords, illegal armed men and those individuals accused of robbery, human right violations and kidnapping of the innocent civilians. Indeed, malicious activities against the government and ordinary people have recently increased by illegal armed groups and the government has also taken some steps for controlling them. The government recently arrested illegal commanders in Faryab, Uruzgan and Farah provinces. The latest arrest of an illegal commander by Afghan forces took place in Takhar province on Sunday. A few days earlier, another illegal commander from Maidan Wardak province was detained but was released after guarantee. Meanwhile in capital Kabul, security forces sieged a house of illegal armed man and arrested him. While, conducting such operations for the welfare of the people and the country, the National Security Council (NSC) has approved in principle the policy of legalizing illegal armed men and groups on Monday. The Press Office of the NSC said a security meeting was held Sunday evening with NSA Hamdullah Mohib on the chair and was attended by members of the security and defense sectors, discussed security situation in Ghazni, Faryab, Nangarhar and Farah provinces. The NSC statement said the meeting discussed the policy to legalize illegal armed men and groups and finally approved it in principle after discussions and exchange of views on the issue.The policy would be presented again to another NSC meeting for a final approval. 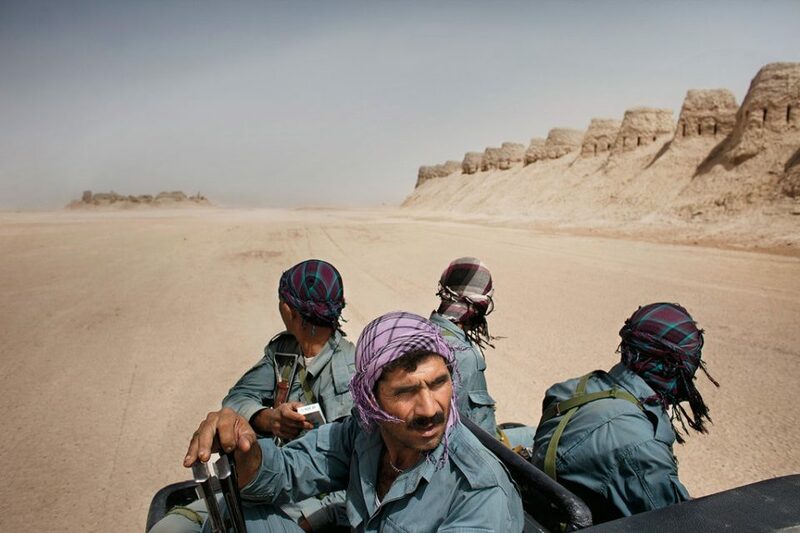 The ongoing power of the militias and warlords, whose rise began in the era of resistance against the former Soviet Union and the ensuing civil war, was from the outset a hindrance to the democratic reconstruction of Afghanistan. Such illegal armed men have spared no effort to destabilize the provinces, break the law and use every single opportunity for their own interests. They have harassed women and men and even have assisted other terrorists to expand their militancy campaign. Today increasing illegal weapons and subversive activities of unscrupulous armed groups in most districts and provinces increased insurgencies and jeopardized people’s life.People ask the NUG and ANDSF to disarm these illegal armed groups and individuals as quick as possible and don’t let them to disturb the people’s peaceful life and fan up wars and insecurities. These groups time and again organized unlawful gatherings and committed human right violations. The country’s war-weary nation expects that these arbitrary actions of armed groups be immediately concluded, and illegal warfare be collected.